The following words are Teri’s, the photos by me. I’m going to let the two interweave in tandem and trust it’s more than enough to get the point across. 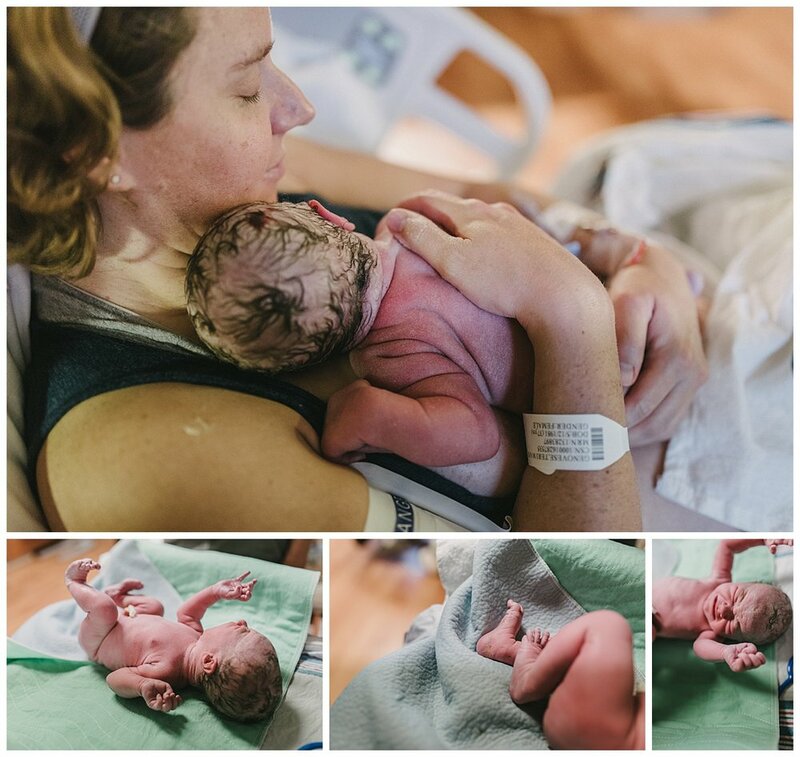 This was a redemptive, sacred birth…. 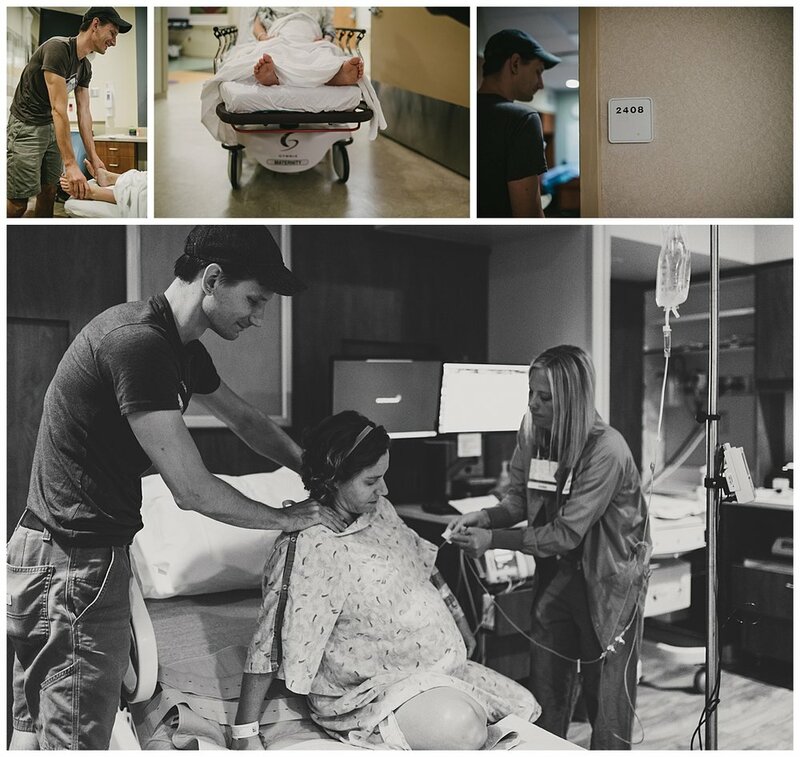 The poignant period of time waiting for Maia’s arrival, her natural hospital birth, and this simple, quiet postpartum period has been sacred to me. The entire process revolving around growing this life and preparing my mind and body for her arrival will forever hold some of my greatest life lessons. When I slip into the fear that I’ll forget all the goodness it holds, I trust it’s imbedded deep and with me for the long haul. And that’s what this is all about – fear and trust. I accomplished what I set out for and yet I was still left with a deep mistrust of my body and this natural process. Everyone told me that the memory of childbirth will fade, but if you ask anyone I know well, the sheer intensity (a long, relentless posterior back labor and difficult recovery) never faded for me. When we finally conceived our second baby, the memory of my first birth experience only intensified. Fast-forward a few weeks into our second pregnancy, I leaned in to my husband and timidly said, “I’ve decided I have to try for a natural birth again.” He replied, “You’re either crazy tough or just plain crazy.” I said, “Probably both.” Sure, I could have opted for an epidural (there is nothing wrong with that), but it was a force deep within me that I couldn’t argue with. It was not a decision that was light or void of anxiety. In fact, it was filled with it. In my heart, I would ask myself - is there anything more primal left in modern life than giving birth and feeling it all? Our bodies are amazing and our hormones so perfectly calculated to naturally carry us through the entire beautifully raw experience. I just couldn’t shake the intrigue of this wild and primal experience and doing it all again. Eventually, I realized my trust ran deeper than my fear. So, I set out on my journey to do the work of healing this trauma. I wrote through my fears, practiced meditation and mindfulness, used affirmations, set intentions, practiced visualizations, etc. It was a marathon of the mind and I was training hard. 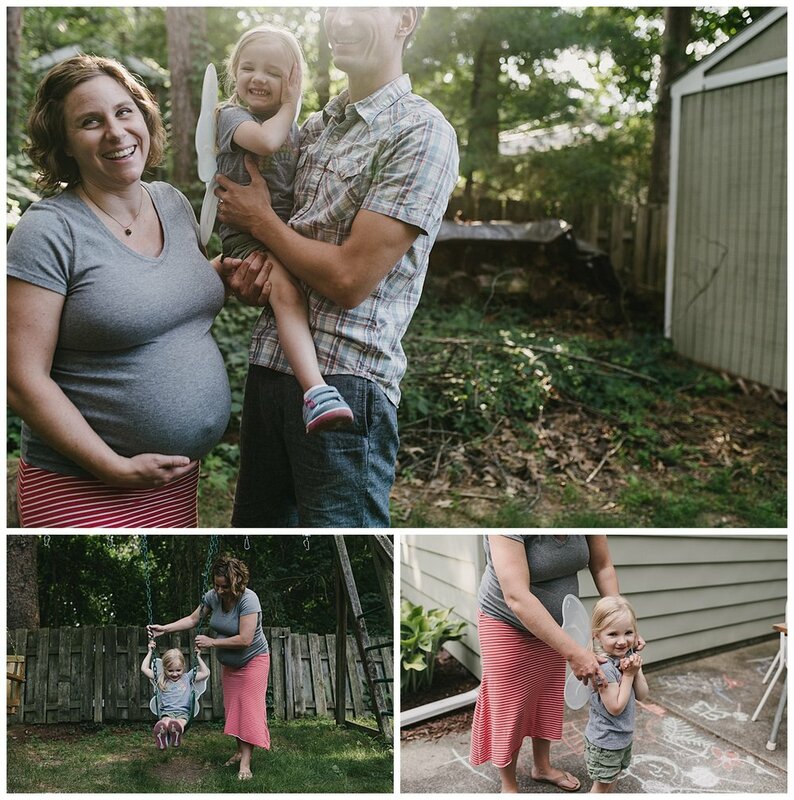 As my due date approached, I observed, from a distance it seemed, how I began to naturally let go and surrender. I trusted deeply it would unfold as it was meant to. 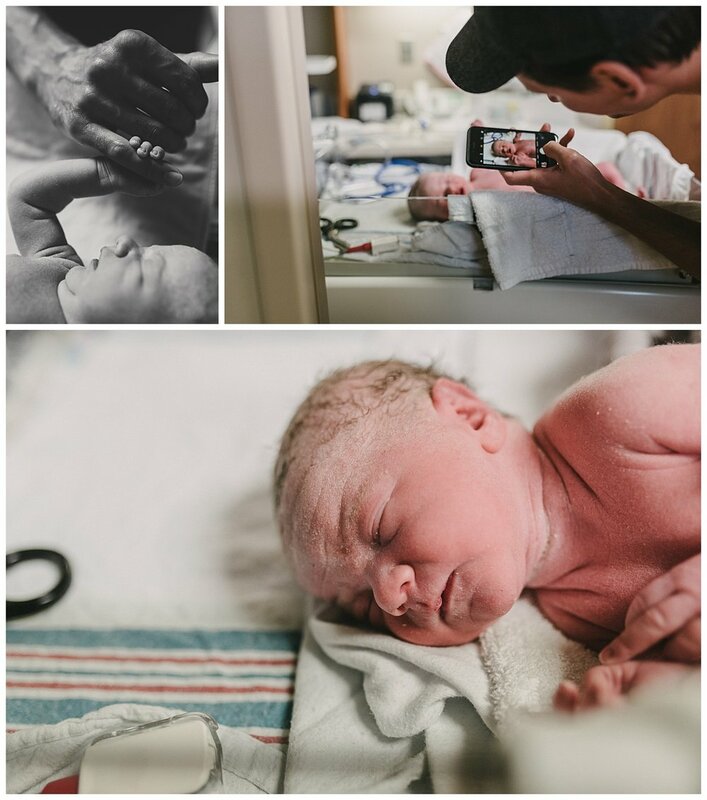 Maia arrived 2.5 weeks early, sneaking up on us in the most joyful way. We went to the hospital expecting to be sent home for false labor and I measured 8cm upon arrival(!!!) I never imagined I would be laughing and high-fiving in triage. Then, when I was nearing the home stretch, ironically, some of what made my first birth so traumatic (intense posterior back labor and stalled progression) reared its ugly head again. However, this time I was so much better equipped and had the support of my husband’s strong, calming touch and my doula’s gentle voice and knowing presence to help me remain focused, calm, and steady through those intensely challenging hours and moments. Shortly after Maia’s birth, it became clear that I had to face this obstacle again, but this time with grace and confidence. My second birth experience was nothing but empowering and I have been reveling in that calm, joyful, strong energy ever since. Not only that, but the memory of my first birth has healed along the way. · Do the hard thing. That thing that’s embedded in your soul that you just can’t shake. Do the thing that scares you the most. Lean in to it. Stare it straight in the face and don’t back down. Ask your trusted circle for support and let them be there for you. Let them hold you up when you falter. · Do the inner and outer work, whatever that means to you. Dedicate yourself to the work. · Let go and surrender. Trust. · When you feel like giving up, go deeper. Find your focus. A transition is filled with uncertainty. It’s uncomfortable beyond measure, but stick it out. Transition is transformation. Be prepared that it might not unfold exactly how you think or hope, but that’s where the lessons are. That’s where the raw beauty lies. That’s where we find out that we are so much stronger than we think. That’s where the goodness is, the strength and energy and deep knowing (that stuff we don’t have the words for) that we’ll carry with us for the rest of our lives. 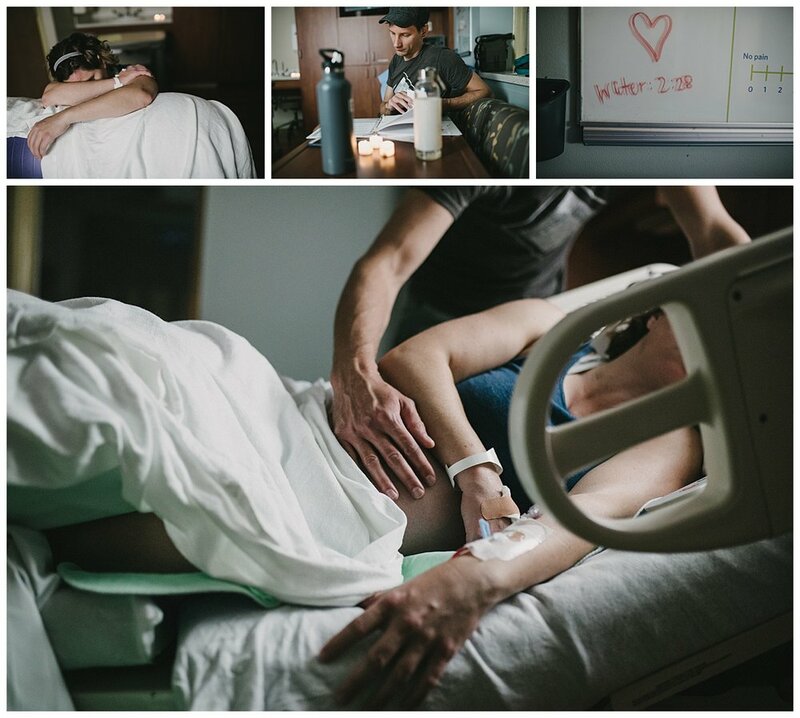 My amazingly dedicated Doula & Photographer Brooke Collier / Sister Birth: Her presence was integral to my positive experience, from her gentle support and belief in me to her immense knowledge and in-depth resources during the entire pregnancy and birth. My prenatal yoga instructor, Alissa Newberg, for providing a safe space to process the prenatal experience, strengthening our bodies and the bond with our growing bellies, and truly pouring her heart and soul into each and every yoga class. She is pure love. I’m currently booking clients for March (yes, I do have one opening available that soon if there’s a last-minute mama out there in need of a photographer or videographer) and through July. Spaces are limited, so reach out soon. It’s an investment, but one you’ll never regret!